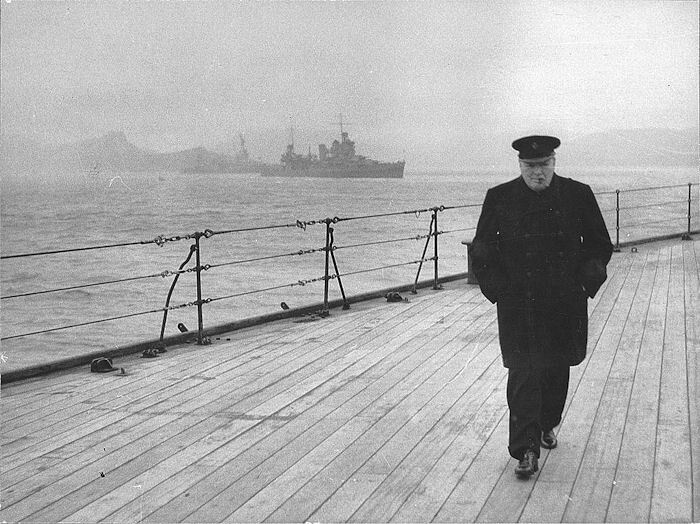 British Prime Minister Winston Churchill walks the deck of H.M.S. Prince of Wales on his return voyage from the Atlantic Conference. 1941.